I'm a fan of JBL Bluetooth speakers...they bring the bass! whoopwhoop893 replied to bogey_vols's topic in What's In Your Bag? Sounds like a pretty awesome day! My only concern with fitting is the day to day variability. But I suppose you just assume the best and make a decision. Better than going in blind and just picking the pretty ones off the shelf. No regrets so far?? Yea, I can see where they were going. Maybe they could make it less subtle? Or is that illegal, I'm not sure. It's rough adding tech to something so simple as a grip. I guess, for me it was a little disappointing in that I didn't notice it more. 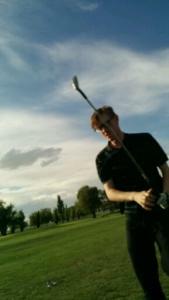 Justin here (aka whoopwhoop) from Utah I'm gaming some Taylormade Speedblade Irons, stiff flex I'm a 12 handicap at the moment *C300 Forged* seems like the best fit, looking for some softer irons. â€‹Wilson has been putting out some nice irons lately! Can I get more power holes please?! Love the name of this Post! For me it will always be anything Pinnacle. Though I always think of pickles when I see it written out. So, I guess that makes them less bad? New to forum, let's do this thing! Hello! I'm new to golf spy. But am really excited. Mostly to talk tech, new equipment and about the majors. I'm very detailed, work in the science field and love the game. I've played for many many years and grew up working on golf courses as a caddy, on range duty, and as a cart boy. Excited to see what mygolfspy is all about!